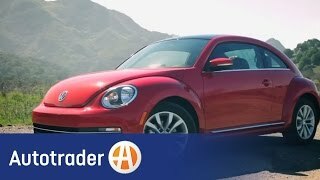 Volkswagen has announced that they will be officially showcasing the new Volkswagen Beetle TDI 2013 model at the upcoming Chicago Auto Show. The previous year has seen the Beetle 2.5L and Turbo coupe models being unveiled to the world. 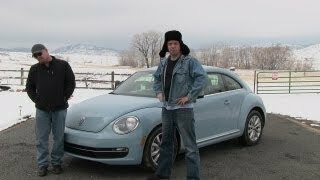 The third Beetle TDI Clean Diesel model is touted to be the highly fuel efficient and is supposed to give a highly impressive mileage of 29 miles per gallon in the city and 39 mpg on the highway. VW has equipped the Beetle TDI model with the 2.0 liter Clean Diesel engine that will be coupled to a turbocharger in order to increase the power output of the unit. They have also utilized advanced technologies like direct fuel injection, aluminium alloy cylinder heads and cast iron cylinder block to increase the fuel efficiency and overall performance of the engine. The revised engine unit can generate an output of 140 Horsepower and 236 pound-feet of torque. Volkswagen has been actively developing the diesel engine which provides maximum performance without compromising on fuel emissions and fuel efficiency. A major improvement over the previous engines is the use of a common rail design fuel injection system that improves the capacity of the engine by approximately 72 cubic centimeters. The Dual Overhead Camshaft (DOHC) is responsible for the opening and closing of inlet and exhaust valves. There are many such minor design changes that are responsible for the improved performance of the new Clean Diesel TDI engine. VW is offering a standard six-speed manual gearbox with the Beetle TDI model but one can also opt for the revolutionary dual clutch DSG six-speed automatic transmission upgrade. Volkswagen have yet to release any information regarding the price of the 2013 Beetle TDI model but it is expected to hit the markets later this year. Herndon, VA- The Volkswagen Beetle 2.5L and Turbo were launched to great acclaim from both consumers and the media in 2011. At the Chicago Auto Show, VW will unveil the third model in the Beetle lineup: the fuel-efficient TDI Clean Diesel model, which has manufacturer fuel economy estimates of 39 mpg on the highway and 29 mpg in the city. 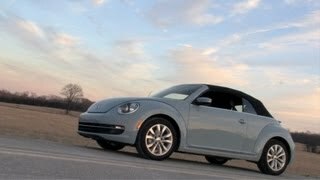 The Beetle TDI, the only Clean Diesel offering in the compact coupe category, will go on sale this summer as a 2013 model. Pricing will be announced closer to launch. Founded in 1955, Volkswagen of America, Inc. is headquartered in Herndon, Virginia. It is a subsidiary of Volkswagen AG, headquartered in Wolfsburg, Germany. Volkswagen’s operations in the United States include research and development, parts and vehicle processing, parts distribution centers, sales, marketing and service offices, financial service centers, and its state-of-the-art manufacturing facility in Chattanooga, Tennessee. Volkswagen is one of the world's largest producers of passenger cars and Europe's largest automaker. 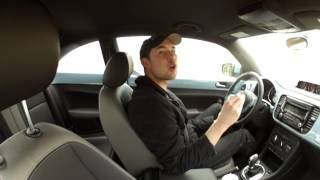 Volkswagen sells the Beetle, Eos, Golf, GTI, Jetta, Jetta SportWagen, Passat, CC, Tiguan, Touareg and Routan vehicles through approximately 600 independent U.S. dealers. Visit Volkswagen of America online at www.vw.com or media.vw.com to learn more. This press release and images of the Beetle TDI are available at media.vw.com. 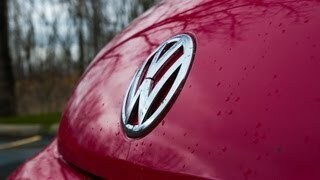 “VW”, “Volkswagen”, “DSG,” “TDI”, all model names and the Volkswagen logo are registered trademarks of Volkswagen AG. “Carefree Maintenance” is a registered trademark of Volkswagen Group of America, Inc. “Bluetooth” is a registered trademark of Bluetooth SIG, Inc. “Fender” is a registered trademark of Fender Musical Instruments Corporation. “iPod” is a registered trademark of Apple, Inc. “Panasonic” is a registered trademark of Panasonic Corporation. “Tiptronic” is a registered trademark of Dr. Ing h.c. F. Porsche Ag. All fuel economy values are forecast manufacturer values for the USA; EPA estimates were not available at time of release.